St. Michael’s is celebrating our amazing teachers and staff with a Luau themed week of fun! We appreciate your help so much. SMA would like to thank all of the families who purchased flowers on the Fine Arts Nights! The funds raised from the sales support SMA activities throughout the year including teacher and staff gifts, teaching/classroom supplies, campus decorations, Teacher Appreciation Week, Love of Reading Week and much more. A huge thank you to Kristina Chastain for organizing the event, and all of the volunteers who helped including Julie Bowen, Jennifer Thorn, Marnie Ackerman and Alison Sullivan. The SMA still has leadership opportunities for next year! Please contact Julia Rebert at jrebert@stmichael.net or stop by the Development Office if you are interested in volunteering. We greatly appreciate the invaluable gift of your time! We are running this again, because two of the three pages did not come through. The Fine Arts Nights are coming up this Thursday, April 11th for grades 5-8 & Friday, April 12th for grades K-4 and the SMA has flowers available for your student performers! Thank you so much to all of those families who pre-ordered bouquets – you can pick up your flowers starting at 6:30pm outside the student gym. We will also be selling flower bouquets for $8 each at the same time if you didn’t get a chance to pre-order. We have a new plan for faster service & shorter lines this year, so don’t hesitate to stop by on your way in to the gym! 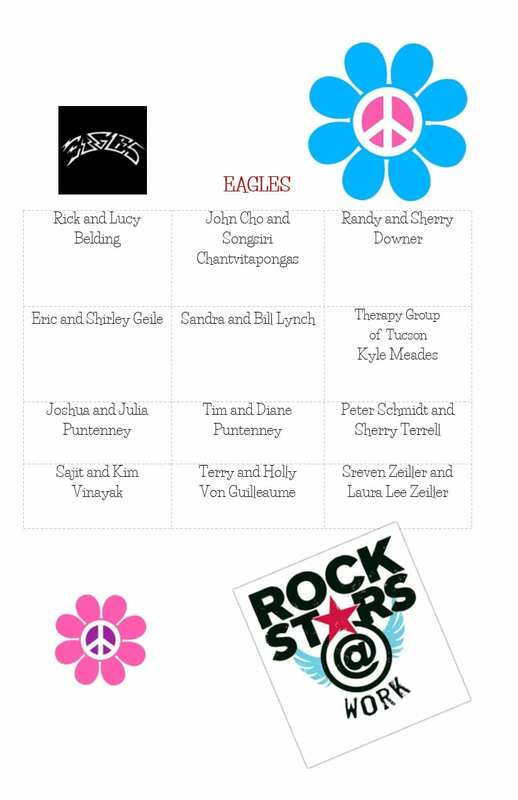 A big thank you to Sherry Downer for organizing last month’s Love of Reading week with amazing visiting authors. Thanks to Leah Walker and her Back-up Bakers team, including Julie Pendolino, Michelle Slavin, Elizabeth Juneman, Marnie Ackerman, Alison Sullivan, Stephanie Liu, Terese Souvignier, and Laura Zeiller, the kids were able to decorate 200 sugar cookies as part of the celebration. Many thanks to Susie Huerta & Julia Rebert for another successful Scholastic Book Fair and all of the many volunteers who helped make it such a success. Thank you to Ana Marin for organizing our Box Tops collections this fall and spring with funds going toward teacher CPR training! 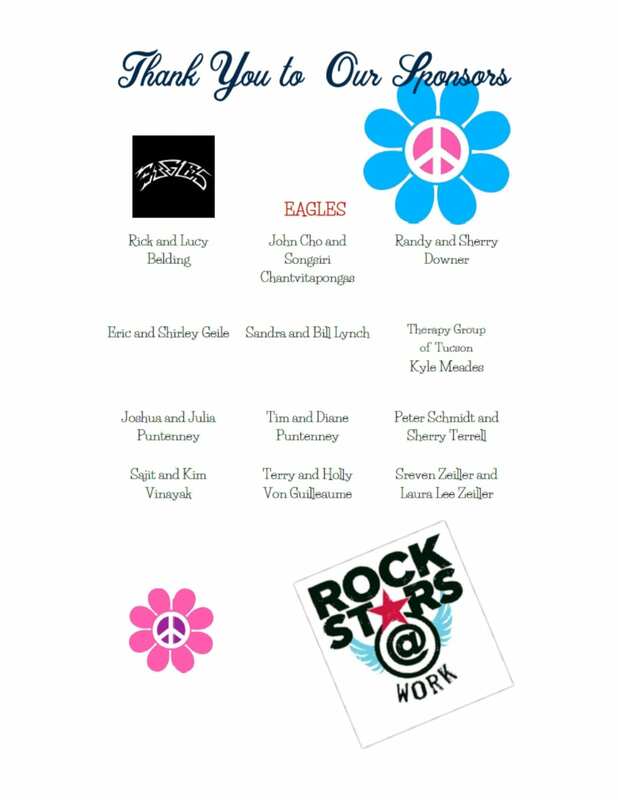 Thank you to our Rock the Night Sponsors! 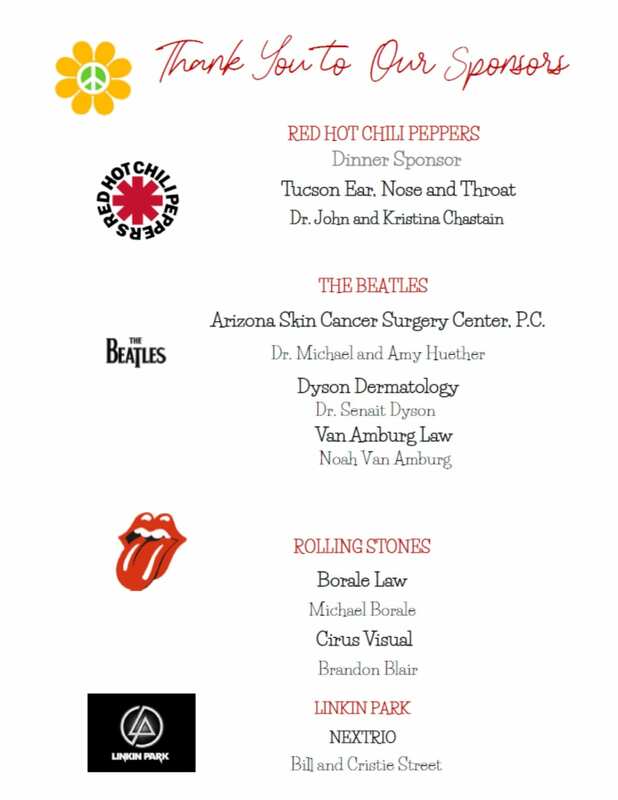 Thank you to all of the attendees, sponsors and volunteers that made our Rock the Night gala a successful and fun night! A special thank you to the volunteers below. We could have not done it without you! Congrats to Sibel Poore who won the eighth grade class’s 50-50 raffle! 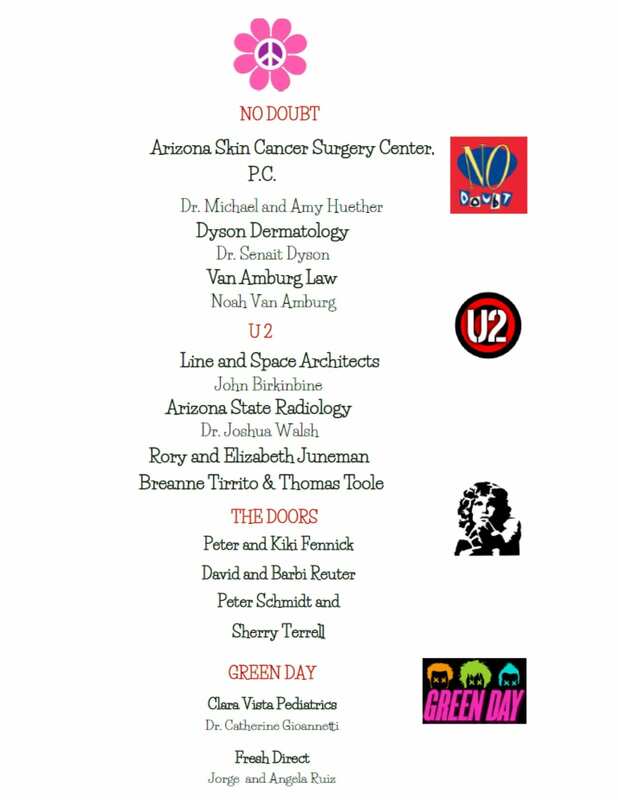 Many thanks to all of you who bought tickets and so generously contributed to this year’s graduation celebration. The SMA/Uniform Exchange Committee requests your help! Housing over 25 bins of gently used clothing, our storage shed is in need of some Spring Cleaning. Plan to attend the final uniform exchange of this school year and save even more on high quality, gently used uniforms for next year! Buy big and be prepared for your child(ren)’s upcoming school year! All items will be discounted, and any purchase or exchange at the event allows an opportunity to win a $25 Sauce Gift Card (one entry per family). If you have never attended the St. Michael’s Uniform Exchange, you don’t want to miss this one! Also, if you have uniform items in great condition to be donated, they may be brought to the front office before April 5th, or with you on the morning of the exchange. We look forward to seeing some new and familiar faces on Saturday, April 6th! Thank you in advance for your help in finding new homes for these uniforms! Fine Arts Night is coming up for grades K-4 on April 12th and grades 5-8 on April 11th. These nighttime events are the kids’ end-of-the-year musical performances and are not to be missed! We have a tradition of the SMA selling flowers for parents and families to present to their children after the performance as a way of congratulating them on a job well done. Funds raised help support SMA activities. Please click on the following link to pre-order your flower bouquets by April 5th.